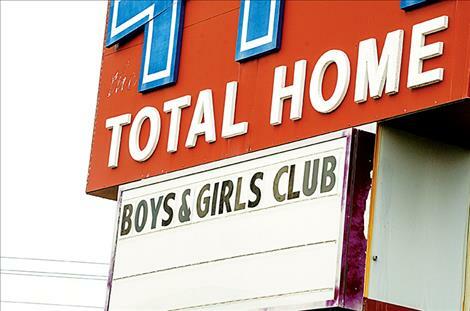 The Boys and GIrls Club of the Flathead Reservation and Lake County will need to remodel the former Total Home building before using it for their programs in Ronan. RONAN – The Boys and Girls Club of Lake County and the Flathead Reservation recently purchased a large building measuring in at 19,000 square-feet on U.S. Highway 93, so the club can expand into a new home, but they aren’t ready to move in yet. “First, we need to do a remodel,” said Aric Cooksley, executive director. The plan is to change the building from a furniture store into a thriving place for kids. During the process to acquire the property, Cooksley was a little worried that the project might not happen. 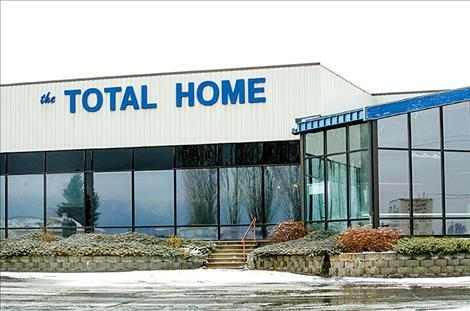 The club purchased the former Total Home furniture store for $1.4 million, debt free, with the help of many donations. “All the dollars raised toward buying this were from private individuals and tribal entities,” he said. Cooksley wants people to know that a full commercial appraisal was done on the property before it was purchased. Cooksley is in the process of working to raise $1.1 million for the extensive remodeling project on the building. “We have close to $100,000 with money in the bank and pledges,” he said. The big question concerns the length of time it could take to bring in more donations and do the remodel. Cooksley said it could be around the end of 2018 or longer before the project is finished. He hopes the community comes together to help fund the project, and he noted that people can still make tax-deductible donations to the nonprofit program on this year’s taxes. During his fundraising efforts, Cooksley said he has heard a few issues from people that he would like to address including the fact that the building was changed from a tax paying business to a nonprofit organization exempt from taxes. The other issue concerns the cost of running a larger building. He said people wonder if the club can afford it. “The new building is a more efficient building with good insulation and heating,” he said. The plan is to have the building open for children during club hours, and during the time that the club is closed, the community can utilize it for events and meetings. “This could be a way to bring people into the community to spend (money),” he said. Cooksley said the club also impacts the community’s job market by giving children an affordable place to go after school and during the summer while their parents are working. “Well over 50 percent of the parents said they wouldn’t be able to keep their jobs without the club,” he said. The remodel on the new building includes plans to move the front door to the side so that one door can be easily monitored to protect the children. Several walls will go up and some will come down to create space for an indoor recreation area, kitchen and dinning space, technology center, an art room, a teen center, offices, bathrooms, and a large flex space in the center for any number of projects. “In the old building, we have kids ranging from ages 6 to 16 all mixed together, and that creates a challenge,” Cooksley said. He wants the kids to interact but would also like to separate them so they can work on age-related activities. He believes that more teenagers will join the club once there is space to provide advanced programs. Cooksley dreams of soccer games or other sports in the outdoor space behind the building where a large field is located. He said hosting tournaments and other events will also be possible. While he admits that his sights may be set high for the project, the purchase of the building sees them halfway accomplished. “If you don’t set your sights high and have big dreams, you end up with the same results, and I want more for these kids,” he said.